Beautiful view of the mountains from the balcony. Staff are very friendly and helpful. Great food at the restaurant. Definitely recommended! My wife and I very much enjoyed our stay in Hotel Alpenblick. It's located in a close proximity by car to Interlaken and Lauterbrunnen. The room was neat and clean. 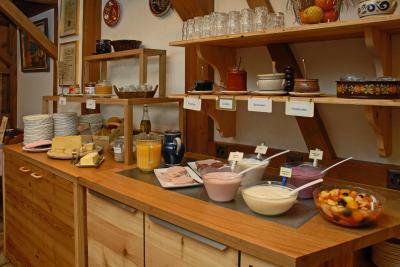 Their breakfast was very good which included a good selection of cheeses. Many choice for free breakfast buffet. Staff were great too! We had a very cute balcony with the view of the mountains, very romantic. Historical hotel in 400 year old building. Good location. Easy free parking. As it was the off season, we got a great deal! Our room was at a discounted price and included a filling, standard breakfast. They also upgraded our room to one with a bathtub at not cost. 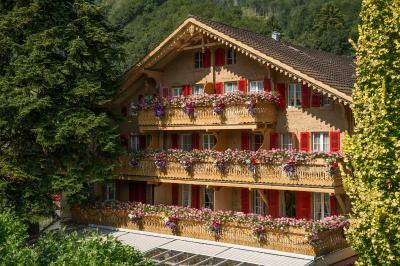 The staff were very friendly and helpful, and our room's balcony had a great view of the Monch and Jungfrau. Loved the age of the hotel at over 400 years old and still retaining the feel of a traditional wooden chalet style building. Wood everywhere and decorated very interestingly. The beds were so comfortable and the room had plenty of storage and room to move around. Breakfast was traditional and tasty, with plenty of choice and as much as you could eat. Free WiFi throughout is most useful. Everything! We arrived early and yet the lady was super friendly and helpful in assisting us and allow us to check in earlier. She was very kind in giving us an insight and guide to the nice excursion nearby interlaken. Room was clean. And the view from the balcony was spectacular! The breakfast was awesome with some homemade bread. Highly recommended and I would want to go back again! The restaurant. Value for money, kind and attentive staff. Breakfast was good. 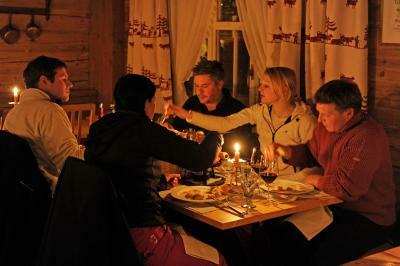 Thanks to the lady in the restaurant who served us local food fondue. 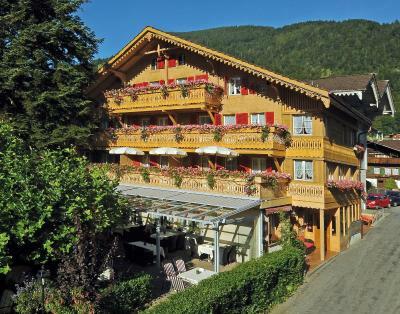 Hotel Alpenblick Wilderswil This rating is a reflection of how the property compares to the industry standard when it comes to price, facilities and services available. It's based on a self-evaluation by the property. Use this rating to help choose your stay! 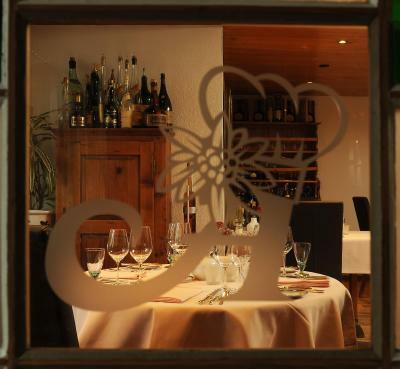 Located in the small village of Wilderswil near Interlaken, between Lake Thun and Lake Brienz, the Alpenblick chalet hotel offers rooms in rustic style and new rooms in Landhaus style. Renovated in 2012, the hotel features the well-known gourmet restaurant Gourmetstübli boasting 1 Michelin star and 17 Gault Millau points. 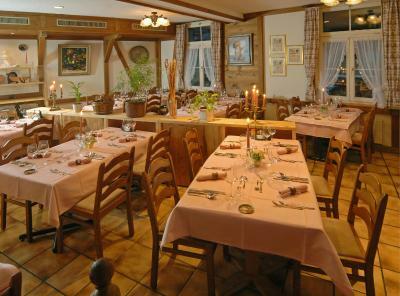 The Alpenblick's Dorfstube offers Swiss and regional specialties, a large summer terrace and a garden. The hotel has 1 further restaurant. In winter, there is a free hotel bus to the ski elevators. There is also a children's room and a children's playground. Free private parking is available on site. 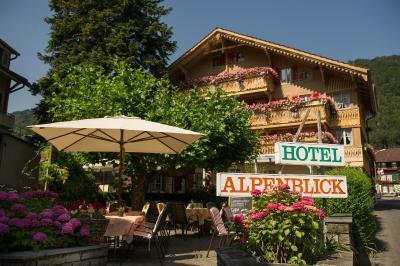 When would you like to stay at Hotel Alpenblick Wilderswil? Small room with cable TV and a bathroom with shower. These rooms are located in the main building. Spacious room with a seating area, cable TV and a bathroom with shower. These rooms are located in the main building or in the Chalet Enzian annex. 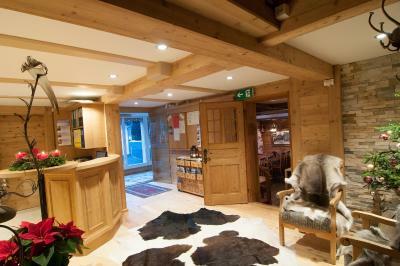 Very spacious junior suite in the Chalet Enzian offers views of the Jungfrau Mountain Range. The suite features cable TV and a bathroom with a shower. Consists of 2 separate twin bedrooms opposite each other. They share 1 bathroom on the same floor. They are located in the Chalet Stöckli. 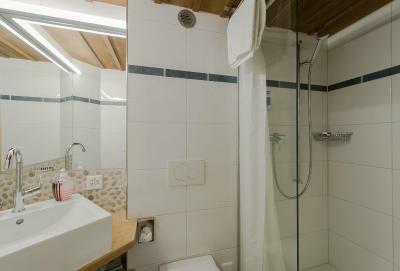 Small room located in the main building with a small private bathroom. Room with attached bathroom with a comfortable armchair and cable TV. The room is fitted with tiled, stone or wooden floors. 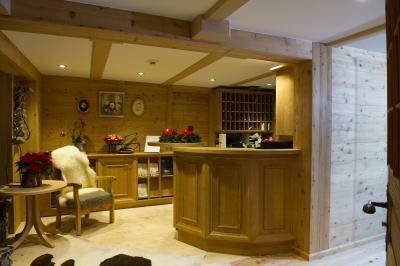 This room was renovated in 2013 and is located in the Chalet Alpenblick. This spacious room comes with cable TV, a hairdryer and a private bathroom with a shower. It also features a seating area. 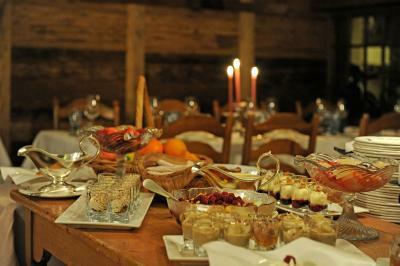 The room is located in the Chalet Enzian. This spacious junior suite comes with cable TV, a hairdryer and a private bathroom with a shower. It also features a seating area. 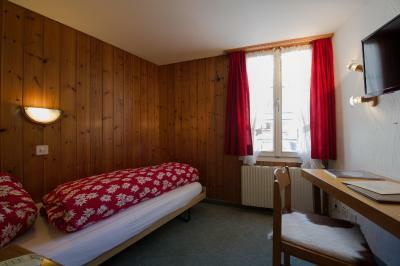 The room is located in the Chalet Enzian. House Rules Hotel Alpenblick Wilderswil takes special requests – add in the next step! Hotel Alpenblick Wilderswil accepts these cards and reserves the right to temporarily hold an amount prior to arrival. Please note that the Gourmetstübli and the Dorfstube restaurants are closed on Mondays and Tuesdays from May until October. From November until April, they are closed only on Mondays. Our room was just above the parking: we were woken up by a coach of tourists leaving very early in the morning. The staff is extremely kind and attentive: we were given a very warm welcome and they were always ready to help. Breakfast was one of the highlights of our stay: home-made cake and jams, large selection of different breads, several types of cheese, etc. We really loved it! 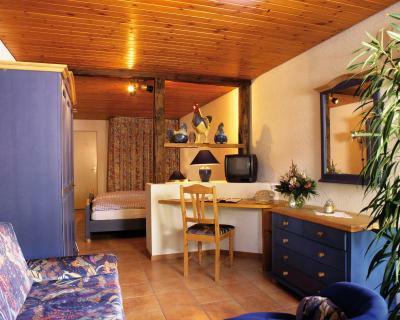 The room was spatious and nicely decorated in alpine style. The building itself is very charming. Breakfast was not exactly to my taste. The hotel has very friendly and helpful staff. The room was spacious and comfortable, even though the hotel is not very new. The shared balcony of the room was also very nice. The hotel restaurant was great for dinner. bathroom was a little dated and it still had a kitchen in the room that was no longer in use. We loved The Alpenblick, however on a personal note our room was very hot. This may be perfect for others but we personally prefer a cooler sleeping temperature. This isn't really a criticism as the temperature could be adjusted and it is just a personal preference. It is far from both station West and Ost Interlaken, attention to buses apart it is a big problem. The furnitures are old. There is no hanging notification to tell if you want cleaning service or not. Although I told them I don’t want cleaning service, some one has came to my room when I weren’t at hotel. There is no elevator also. When some one walking though stairs or upper floor, noises disturb. Friends staff even we have big group. Rooms need renovation. It is not acceptable to have a room which used to be "smocking" with 20+ years old carpet and declare it as "non-smocking". The condition of the shower is questionable. Breakfast room cramped and busy, Room very small. Bathroom even smaller, shabby and anyone approaching 6 feet tall would struggle to fit in shower. Hotel has a lot of character but a lot of areas need refurbishing. This is a very nice family run hotel spread over several interesting old houses which are beautifully maintained and enhanced with flowers and some lights at night. We received a warm welcome and were given very good advice on what to visit in the region, as well a reduction voucher on train travel to the beautiful Schynige Platte. As a retired couple travelling with our adult daughter we found the room large and comfortable with a good seating area, desk, large wardrobe, flat screen television and window blinds. There was a view of the mountains and of the village and it was very quiet. We were served a lunch of local meats and cheeses and home made cake on arrival although it was after 2.00 pm. All of the staff without exception were pleasant and helpful. On two evenings we dined in the restaurant where the food, service and atmosphere were really great and we thoroughly enjoyed ourselves. The dishes are varied, ranging from (really) huge viennese-style schnitzel and a tasty beef skewer, through thai-inspired vegetarian dishes, salads and noodles with fresh forest mushrooms, to knuckle of pork and many other local specialties. Also a very extensive cheese selection and good wine and desserts. 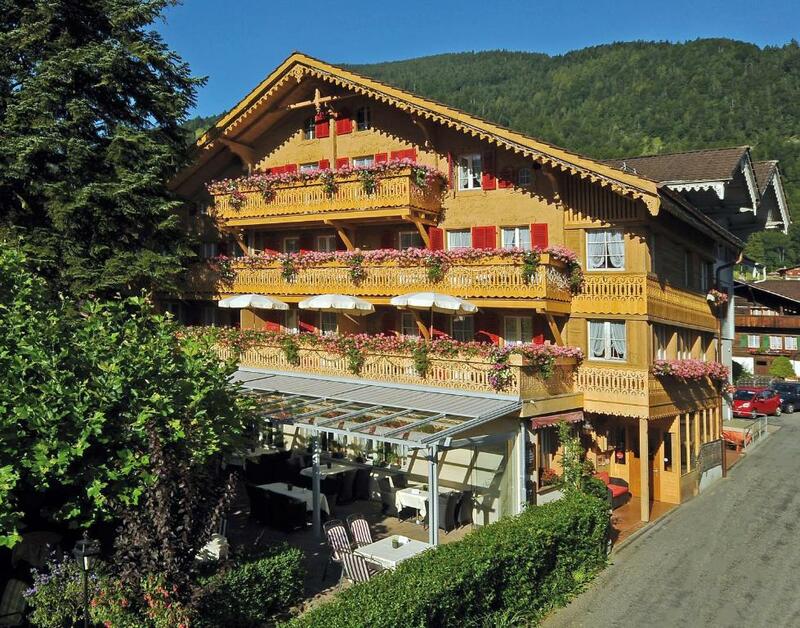 For this hotel alone and its surroundings we would visit Switzerland again. Their payment/charging policy. They charge before arrival in CURRENCY OF THEIR CHOICE WHICH GIVES THEM BEST PROFIT. Also, they advertise something else regarding this. So you end up paying mark up fees and currency conversion charges . Room is very congested. No fans in the room.. and if you open the window insects come inside. Bed is not comfortable ... felt like bugs in the bed but not sure whether these came from outside since we opened the windows or the bed was infested. Location is not quite great.. Wengen is better place considering the activities one can do from this location. Also you need to walk uphill to reach the hotel around 10 to 15 min. Option of bus is there but it is not at frequent intervals.